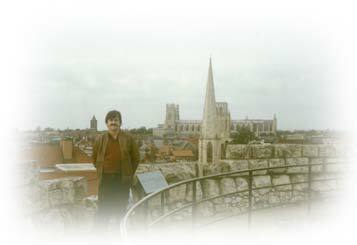 July « 2016 « Blog Marcos L. Mucheroni Philosophy, Noosphere and Ciberculture. Life and Death "Live of death, die of life." Heraclitus of Ephesus pre-socratic philosopher - 540-470 B.C. Embora a grande contribuição de Karl Popper lembrada no mundo acadêmico seja em relação a sua visão de ciência, a questão da ciência “normal” que surge das contribuições e acréscimos em paradigmas científicos, há uma contribuição mais profunda na crítica a Hegel. Publicou em 1934 A lógica da pesquisa Científica, enquanto ainda era professor escolar, nela criticou o neopositivo lógico do Circulo de Viena, criando uma teoria que a falseabilidade potencial é o critério a ser usado para distinguir ciência de não ciência. Depois emigrou para Nova Zelândia onde foi lecionar na universidade de filosofia na Universidade de Canterbury, em Christchurch. Dizia corretamente que era herdeiro de David Hume e Immanuel Kant, mas sua abordagem empírica tem elementos novos, influenciado por W.V. Quine diz que a observação empírica não é “simples”, porque é sempre seletiva, no sentido de que ocorre a partir de uma perspectiva, e esta perspectiva é sempre favorável a corrente filosófica que conduz à pesquisa, mas ele vê a ciência como um esforço de resolução de problemas, e mesmo sendo humana é possível diferenciar se ela é ou não ciência “pela solução”. A crítica a Marx, que coloca entre todos os sistemas “totalitários”, feita no seu trabalho a Sociedade Aberta e seus inimigos, parte da ideia que todos historicistas (inclui Hegel) usam de modo inapropriado a ciência, porque a história humana não pode ser “prevista”, mas além de filosofia da ciência fez também trabalhos de história da ciência, a partir dos anos 1960. Os trabalhos de Michael Polanyi (1871-1976) e Thomas S. Khun (1911-1996), deste em especial a Estrutura das Revoluções Científicas, que mostra que Popper trata apenas da ciência normal e não dos períodos paradigmas, cita como exemplo a superação de Newton por Einstein, vão fazer que Popper refaça suas teorias influenciando a questão científica, mas não a filosófica. 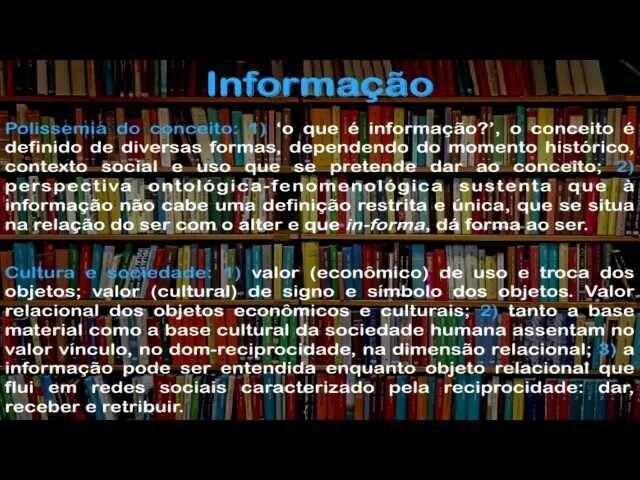 Entre os livros mais conhecidos desta época: Conjectures and Refutations: The Growth of Scientific Knowledge, (1963), Objective Knowledge: An Evolutionary Approach, 1972, The Self and Its Brain: An Argument for Interactionism (1977, In Search of a Better World (1984), Knowledge and the Mind-Body Problem: In Defence of Interaction (1994). I consider the most important one that emerged from Husserl, who has roots in Franz Brentano, because there arose much of existentialism, and three of the most important contemporary thinkers: Heidegger, Paul Ricoeur and Emmanuel Levinas, there is Karl Popper, a critique of part of which will be for the next post. The first fiercest critics of Hegel are Arthur Schopenhauer and Friedrich Nietzsche, both had an important influence of American transcendentalism of Ralph Waldo Emerson (1803-1882), and although both also had the influence of oriental readings, it is through this influence that can explain the transcendentalist subjectivism of both, or in other words, it has not completely broken with the egoic center of Western culture where the self is where part of the philosophy, both make speeches on the question of “will”. Karl Marx is not just an opponent, of the belief Hegelian system in the state, and this in a way in a kind of “god”, for example, the philosophy of history, he does what he defined himself as a Hegelian head down, not a sky system for the earth, but the earth to heaven, but what was heavenly paradise Marx? A classless society, the real socialism revealed that just built new “caste” in power. He defended an essentiality, is famous for his phrase “return things for themselves”, but his belief in the phenomenological model that creates basis for a genuine science, rewired to be (existentialism would come with Heidegger, his student who succeeded him in the gym ) a new transcendentalism, and explained: “We ourselves will be directed to an internal transformation that we will be face to face – in direct experience – the size long felt but constantly hidden from’transcendental’. The basis of the experience revealed in his infinity, will then become the fertile soil of a philosophy of methodical work with the self-evidence, moreover, that all conceivable philosophical and scientific problems of the past are destined to be presented and resolved on this basis“, wrote Husserl. The period between the late seventeenth century and the late eighteenth century, known as the Enlightenment, was characterized by criticism of any belief, by criticism of own instruments for obtaining knowledge, and consider knowledge as something which aims to make life better human beings, both in the individual field, as in society. 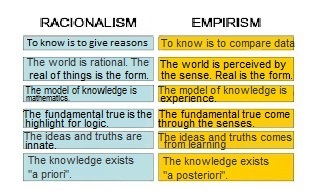 Kant tried to get a moral to the personal field, that although criticize in the Practical Reason Critique the dangers of exaggeratedly egoic society of his time, for him as a “mania I”, a “social pathology”, which turns the notion of respect on a misconception based on the inner feeling of each individual, establish to reconcile rationalism with empiricism, that “Act as if the maxim of thy action were to be transformed, through your will, a universal law of nature.” in his Rationale the metaphysics of morals. Thus, its reason is an attempt to overcome the “pure” reason of Descartes, but remain still stuck to it, the Kantian reason is not the way to think of each one, is something necessary and universal, ie all are are governed by it. 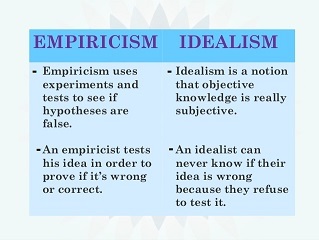 One can say roughly that in idealist philosophy the basic principle is that I am I, in a proper sense of idealism, I is object for me (I), so that its basic dichotomy that is the opposition between subject and object remains as incident inside the self, since I own is the object to the subject (I). Idealism in its complexity can make a rough division into three parts: (1749) ‘philosophical system that approaches the thought all existence’ (1828) ‘design aesthetic in which to seek the expression of the ideal over the real’ ( 1863) ‘attitude which consists of subordinating thought and conduct to an ideal’, which will find its climax in Hegel. Kant, Immanuel. Foundations of the Metaphysics of Morals. Trans. Lewis White Beck. Page numbers citing this work are Beck’s marginal numbers that refer to the page numbers of the standard edition of Königlich-Preußische Akademie der Wissenschaften. Berlin, 1902–38. (Português) Empirismo é racionalismo ? “SOCRATES: In his epistemological theory, yes, but not his method. Your method, like theirs, is to reduce or data to explain the complex to the simple, the rich variety of experience to simple universal formulas. HUME: But this is just one of the elements of the scientific method. SOCRATES: And this means that it should be an element of philosophical method? HUME: There is nothing absolutely true or false with respect to a method … a method is just a tool, a practical means in order to find the truth. What we should discuss is about true. SOCRATES: I agree. But it can not be true that the scientific method is not suitable for the philosopher an unscientific method to a scientist? HUME: And that would use method to compare the scientific method to any other method? SOCRATES: I would use the universal method of logic. SOCRATES: And I say that reductionism violates the laws of logic.” (Kreeft, 2012). The reductionism is the basis of rationalism and empiricism also, this is a simplification of reality in formulas and processes apparently explained, but they are complex. The theme is earlier modernity in the late Middle Ages, the English nominalist William Ockham created the method “between two explanations choose the simplest,” and because of it it became known as Razor Ockham.